Today, the Department of Justice approved Google’s proposed purchase of ITA–with some important caveats. The DOJ has mandated that Google adhere to a slew of requirements to ensure that healthy competition remains in the online travel industry. It appears the Department of Justice has heard the cries of travel companies and consumer watchdogs, who threw a fit over Google‘s planned $700 million acquisition of ITA Software. Many travel sites, from Microsoft‘s Bing to Kayak to Expedia, use ITA’s technology, which helps enable consumers to search for airfares and flight times. If Google were allowed to buy ITA, some believed, it could give the company an unfair advantage in the travel-search business. But today, the Department of Justice approved Google’s proposed purchase of ITA–with some important caveats. The DOJ has mandated that Google must adhere to a slew of requirements to ensure that healthy competition remains in the online travel industry. For now, the DOJ’s decision has satisfied critics. According to Birge, the DOJ has protected Kayak and sites like it in two key ways. First, it ensures the company’s continued access to ITA, a product that is critical to Kayak’s technology. Second and most importantly, “they’ve protected our own technology that we’ve developed over the last seven years and that sits on [ITA’s] servers,” says Birge. But such protections were not always guaranteed. 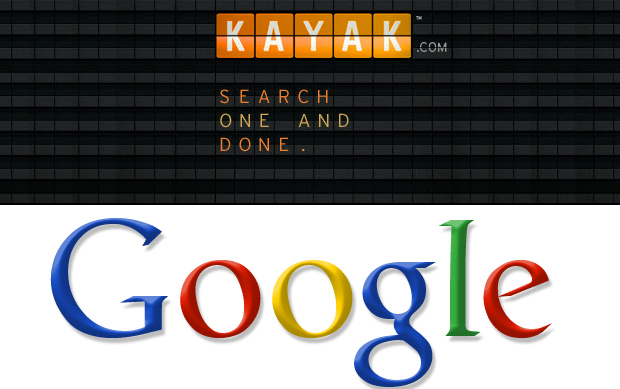 While Google has defended the acquisition–arguing that it would actually increase, not stifle, competition–Birge says Google’s purchase could have had a big impact on Kayak, had the DOJ not intervened. “And they said no on multiple occasions,” Birge says. The DOJ, he adds, did not accept no as an answer.